AMC's revival of The Killing now has more in common with David Cronenberg’s Crash, beyond it being the reopening of an old wound so you can get screwed some more. 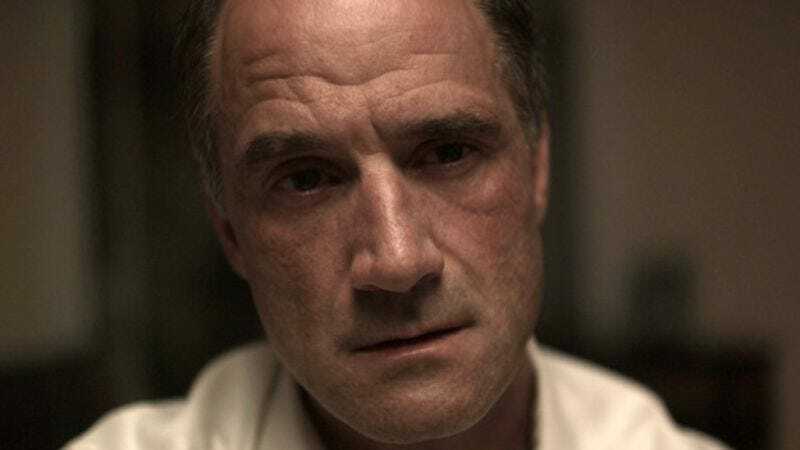 The third season has added Elias Koteas—a gifted actor with a long history of diverse credits who will nevertheless still be “that guy from Teenage Mutant Ninja Turtles,” so long as there is an Internet—casting him as Ed Skinner, the ex-partner to Mireille Enos’ character, because The Killing can always use another cop to stand around discussing cop things. Preferably they should also have some sort of secret they're keeping from other cops, so fortunately, Skinner is described “a well-respected and intense cop with a personal secret.” Is it that he regularly puts on a hockey mask to take back the night as a baseball bat-wielding vigilante? The only way to know for certain is to sit through every single episode, hoping the next finally gives you the answer.